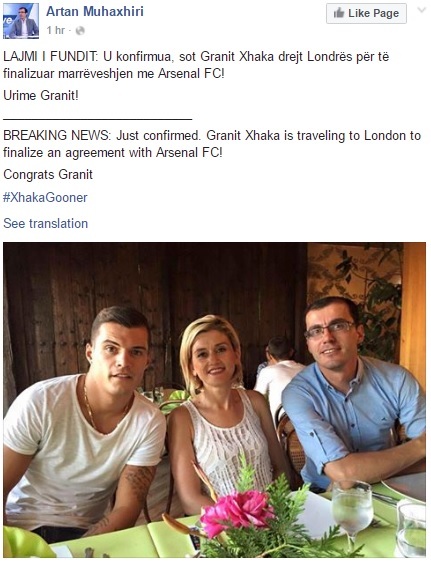 It looks to be only a matter of time before Granit Xhaka makes the switch to Arsenal, with Artan Muhaxhiri, a Kosovan journalist and friend of the Swiss international, revealing on Facebook that the 23-year-old was on his way to London to finalise the deal. Muhaxhiri congratulated his friend on the transfer, suggesting that there was no longer any doubt that the move was happening. He seems confident that all remaining business is merely a formality and that the deal will soon be completed. 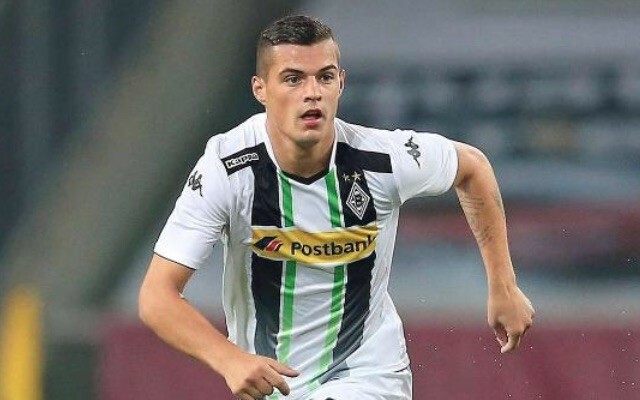 There have been plenty of other reports linking Xhaka with a move to Arsenal, although arguably none as concrete as this. Goal recently revealed that Borussia Monchengladbach had confirmed a bid had been made by an unnamed club, with Goal’s sources insisting that Arsenal were the club in question. Arsene Wenger claims he’s looking to make at least three signings this summer (via The Evening Standard), and it looks as though Xhaka is set to be the first. A midfielder is certainly a priority given the departures expected (via The Independent), but the fans won’t be happy unless at least a couple of other players are ushered through the door. A striker is an absolute must for Arsenal, and if Olivier Giroud is their only option when next season kicks off there could be riots. If Arsene Wenger can get a deal for Xhaka done soon then he can turn his full attention toward other targets, potentially getting plenty of business done early. In the past he’s left his transfer dealings far too late, with players only arriving on deadline day.